Every room brimmed with activity – children of all ages and parents exploring the wonders of the planet as captured within the confines of the building. 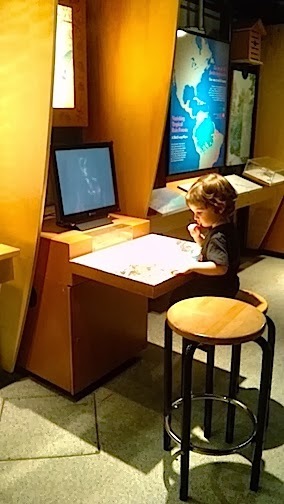 We attempted to take it in bite- sized pieces starting with the newest permanent exhibit - The Human Edge – which was very interesting by the way. I’m a sucker for all the facts and figures and the Science Centre is great about using visuals as much as possible. Trees, sharks, rain forests, rocks, electricity...you name it, we learned about it. Children trounced and pounced about the exhibits and corridors, limitlessly drawing on their energy stores. My boyfriend and I on the other hand, clearly hadn’t caffeinated enough. By the time we finished watching the IMAX film, it’s a miracle we mustered enough energy to get out of our seats. But, exhaustion aside, it was an awesome way to spend a day. Not only is it fun to learn something new, seeing others excited by learning is even better. We will certainly return, but more likely armed with energy bars the next time around. Science wasn’t the only lesson learned.